Philadelphia Mayor Jim Kenney announced on Friday, 7/27, that the city will not renew a contract with U.S. Immigration and Customs Enforcement (ICE) that granted access to a database with real-time arrest information. The Philadelphia Police Department's Preliminary Arraignment Reporting System or PARS has information on anyone who had been detained by police, whether or not they have been charged with a crime, including date of birth and address. It also has information on victims and witnesses. Kenney is concerned that ICE is using the database to find and investigate illegal immigrants whether or not they have committed any crimes. 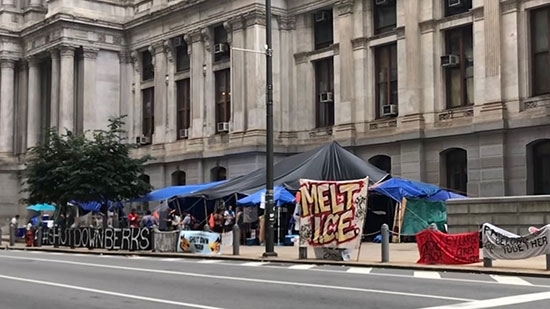 Protesters have been demonstrating for weeks, first outside of ICE offices in Philadelphia and then outside City Hall. On Wednesday, some protesters went inside City Hall to Kenney's office to demand action. The current contract expires August 31. A Philadelphia man has been arrested for stealing thousands of dollars worth of gas from three gas stations in Delaware this month. 34-year-old Vincent B. Chinn Jr. has been charged with two counts of Theft greater than $1,500 and one count of Theft less than $1,500 by the Delaware State Police. He was also charged with three counts of Constructing Equipment to Discharge an Air Contaminant without a Permit by the Delaware Natural Resources Police Environmental Crimes Unit. He siphoned the gas from underground tanks at three difference Shell stations in New Castle County into plastic tanks in a utility trailer he towed with a pickup truck. In total, he stole 1,743 gallons of gas worth over $6,000. A woman was shot and killed by her boyfriend in a home in Allentown on Thursday morning, 7/27. Police were called to the 1900 block of 17th Street near Lehigh Street around 10:30 a.m. 36-year-old Kristina Fenstermaker was transported to Lehigh Valley Hospital – Cedar Crest where she was pronounced dead. The suspect, 32-year-old Matthew Jensen, was taken into custody around 2:30 p.m. at a Walmart in Pohatcong, New Jersey, 25 miles away. He is charged with criminal homicide.